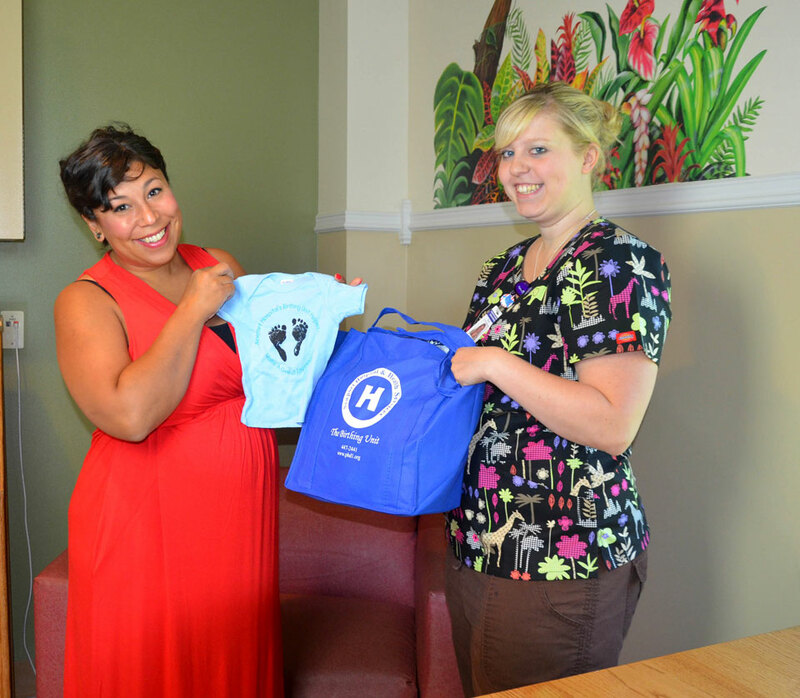 Receive a special gift from our Birthing Unit nurses! 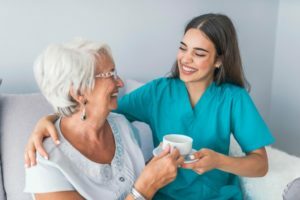 After your infant is delivered, the staff will ensure your privacy and provide you with the opportunity to begin bonding with your new baby, provided both you and the baby are medically stable. We encourage mothers who wish to breastfeed to begin immediately after delivery – it will benefit your baby and help you relax. The best place for a healthy newborn to be is with you. Skin-to-skin bonding promotes stability of temperature, breathing and blood sugar, as well as an opportunity for bonding and breastfeeding. The initial physical assessment can be performed while you’re holding your newborn. Routine care includes an injection of Vitamin K and placement of EES (an eye antibiotic), with parental approval. Recognizing that delaying the first bath is best for your newborn, your nurse will be with you to help as needed when you have the opportunity to give your baby’s first bath (6-24 hours after birth). Mother/Baby nurses are specially trained to care for both you and your baby. Feel free to ask them any questions about your recovery or the care and feeding of your baby. To ensure your baby’s safety, Identification (ID) bands will be placed on you, your baby and your significant other immediately following birth. These ID bands are not to be removed before discharge. Your nurse will advise you to NEVER leave your baby alone or unsupervised in our room. 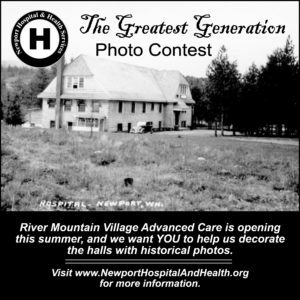 Newport Hospital endorses Family Centered Care. For mothers who wish to breastfeed, this experience will begin in the Labor and Delivery Room with support from specially trained nurses and will continue throughout your postpartum hospital stay. Our nurses will provide you with the guidance you need and answer any questions you may have. For mothers and babies with special needs, a Lactation Specialist is available. After discharge, community support is provided for those interested. All infants born at Newport Hospital will be given a hearing screening exam with the parent’s consent. The hearing screening test is able to detect a range of hearing loss from mild to profound. Newport’s culinary staff provides a complimentary gourmet meal for our new parents. Choices include Steak or Chicken Cordon Bleu, served with sparkling cider and birthday cake. There are no restrictions on times of visitation. However, to allow you to adequately rest, we suggest that you limit your visitors to two at a time. Please ensure that visitors (adults and children) are in good health. Also encourage them to wash their hands before holding your baby. Remember, Washington State law requires that infants be placed in a rear-facing car seat in the backseat.